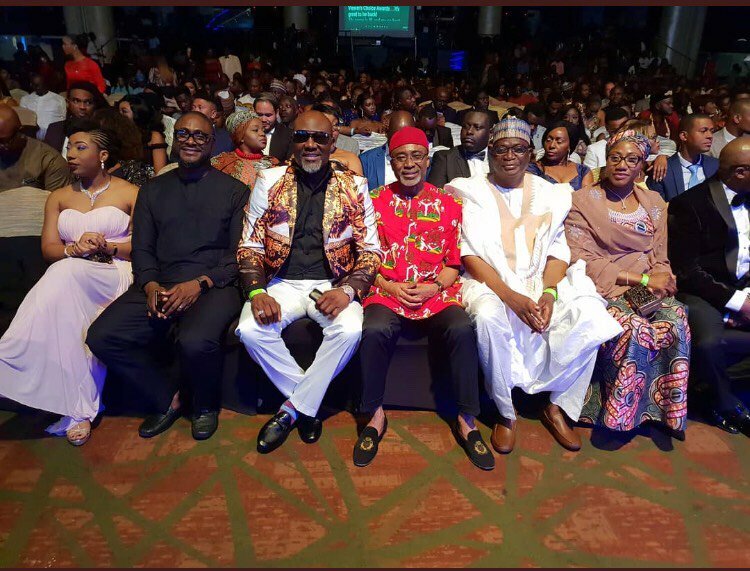 Some law makers who belong to the upper legislative chamber of the Nigeria National Assembly stormed the 2018 Africa Magic Viewers Choice Awards (AMVCA) to grace the occasion alongside stars in the music industry. Some of the prominent senators seen at the event were; Senator representing Kogi West, Dino Melaye as well as the Senator representing Abia South Senatorial district, Enyinnaya Abaribe, among others at the Eko Hotel and Suites, Lagos for the award. Among the music artistes that lit up the stage were, popular singers; Adekunle Gold, Cobhams Asuquo and Falz.